Investigators from Brigham and Women’s Hospital have found that “non-functional” adrenal tumors can increase a person’s risk of developing type 2 diabetes. Benign adrenal tumors that don’t appear to secrete hormones are labeled as “non-functional” and are currently considered by physicians to pose no health risks, but these new results challenge that assumption. Adrenal tumors are commonly discovered inadvertently when patients undergo imaging scans of the abdomen. Most of these tumors are considered benign, but even benign tumors may secrete hormones such as cortisol that increase the risk of developing cardiovascular and metabolic diseases. Benign adrenal tumors that are evaluated and considered to secrete no cortisol or miniscule levels of cortisol are considered “non-functional” and are left untreated. Using data from the medical records of 1479 patients, including 242 with non-functional adrenal tumors and 1237 without any adrenal tumor, Anand Vaidya, MD, MMSc, and colleagues assessed the risk of developing cardio metabolic diseases over time between these two groups. These findings suggest that non-functional adrenal tumors may be independent risk factors for developing diabetes and that patients with these tumors should be evaluated for diabetes more vigilantly. Vaidya and his colleagues also analyzed a third category of patients: those with adrenal tumors that secreted small amounts of cortisol, termed subclinical hypercortisolism. They found that this category of patients had the highest risk of developing type 2 diabetes, illuminating a trend in the relationship between cortisol secretion, even in small amounts, and the risk of developing type 2 diabetes. The next step for Vaidya’s research team is to determine the most effective method to address adrenal tumors that are currently considered non-functional. 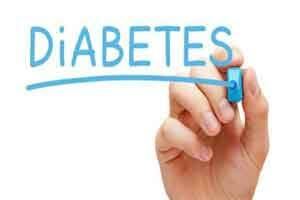 Future studies to evaluate whether surgical or pharmacological treatments could reduce the risk of diabetes are being considered. “Our results imply that once you have an adrenal tumor, regardless of its functionality, you should consider recognizing it as a potential risk factor for diabetes,” Vaidya said.